​ DALLAS-FORT WORTH-ARLINGTON – The local office market saw a slight reversal of fortune in second quarter 2018 as net absorption turned negative, making it the nation's only top-ten metro to lose ground. The area's office vacancy rate rose by 0.4 percent to 15.2 percent, with more un-leased construction set to deliver by year-end 2018 according to a report released by Colliers International. Net absorption was a negative 288,945 sf, down from a robust 973,175 sf in 1Q 2018. Vacancy rates rose in the three core submarkets tracked by the report—most notably from 11.9 percent to 13.1 percent in Uptown/Turtle Creek, according to Colliers. Uptown/Turtle Creek is the city's hot construction market now, with 1.2 million sf of space scheduled for completion by the end of the year. Overall, office space under construction across DFW has dropped by more than 3 million sf since 2Q 2017. 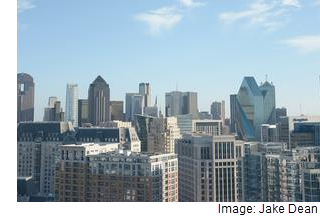 ​Check out​ more Dallas-Fort Worth-Arlington Office Market Research​.